Hospitality Cost Benefit Analysis show the impact of refinishing your furniture instead of replacing it. 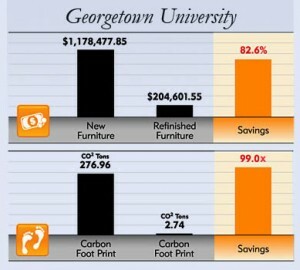 How can you reduce cost, maintain brand standards and save on capi­tal expenditures while still helping the environment? SIMPLE. With the “New Normal” that has been the standard since 1977. Since its inception, The Refinishing Touch® has pio­neered cost effective solu­tions with environmentally safe, on-site refinishing, reupholstering and armoire conversion technology. Increase your ROI with custom solutions by The Refinishing Touch® that provides a warranted pro­cess that improves the look of your property at savings of up to 80% on your exist­ing furniture assets. Government Cost Benefit Analysis are available for projects for all branches of the military, Department of Defense, and The White House. 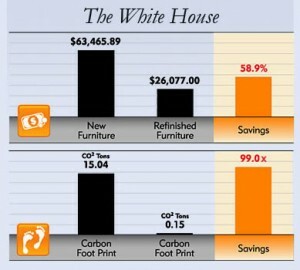 In this year’s budget, you need to replace or refinish furniture for the lowest cost possible. The savings available for refinishing furniture is clear for this one-time purchase. What isn’t apparent is the fact that refinished solid wood pieces of furniture will be more durable and require less maintenance than new pieces purchased today. New furniture today made of veneers and composites will not last a decade, and you will have to work furniture into your budget again in one-third of the time! Student Housing Cost Benefit Analysis offer real proof of the reward for on-site furniture. Right now, you need to replace or refinish furniture for the lowest cost possible. The savings available for refinishing furniture is clear for this kind of one-time purchase. The Refinishing Touch offers financing. Click here for more information and to download an application. 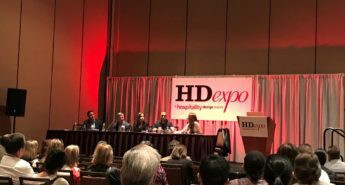 We went to HD Expo 2017 to discuss the latest trends in hospitality and to assess the hotel industry’s thoughts on design trends. Here’s what we learned.